Those of you familiar with the “pink tax” shouldn’t be at all that surprised to learn that women tend to pay more than men for car insurance in half of the United States. And this is despite men being found to be the overall riskier drivers. Go figure! In a new study, an insurance search engine and comparison website called The Zebra found that, on average, women’s annual car insurance premiums were about $10 higher than men’s last year. 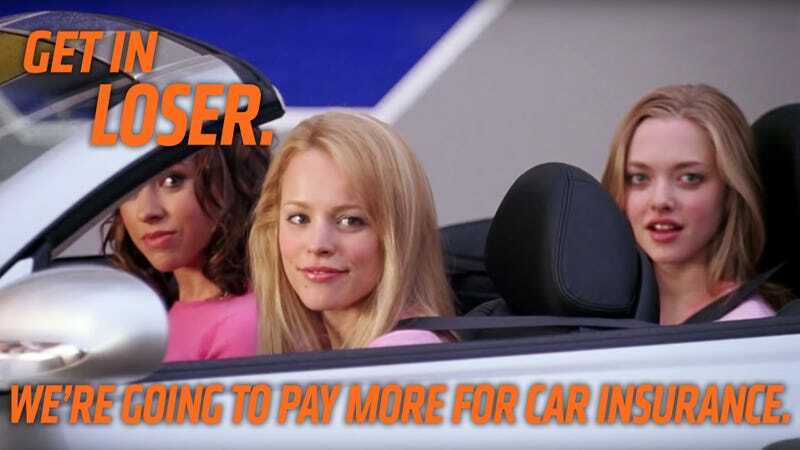 Women paid more for car insurance in 25 states, while men paid more in 21. The states that prohibit gender-based pricing as it applies to car insurance are Hawaii, Massachusetts, Pennsylvania, North Carolina, Montana and, most recently, California. “Gender’s relationship to risk of loss no longer appears to be substantial, and the logical justification for the statistical relationship to risk of loss has become suspect,” California’s department of insurance said. A higher insurance rate would seem to suggest that companies believe women to be riskier to insure, but these rates don’t seem to be largely tied to women being riskier drivers at all. In fact, the Insurance Institute for Highway Safety found in 2017 that more men (71 percent) died in car crashes than women. Men typically drive more miles than women and more often engage in risky driving practices including not using safety belts, driving while impaired by alcohol, and speeding. Crashes involving male drivers often are more severe than those involving female drivers. To obtain these results, the site analyzed 61 million car insurance rates across all U.S. zip codes between September and December of last year and between May and June 2016. You can try and break down how insurance rates are determined, but it is still largely a mysterious and clouded process that doesn’t fully make sense to the average buyer. Maybe using gender helps insurance companies price risk more easily, but it can end up needlessly hurting the consumer. Click here to read the rest of The Zebra’s study! This story has been updated since publication with a reworded headline.